Our natural stone and mixed metal jewelry is designed and fabricated by artist, Sandy Calderone. Hammered earrings, bypass rings and bracelets are available for order as well as custom wrap bracelets in your favorite stone combination. StellaMala is new to stellascloset.com. 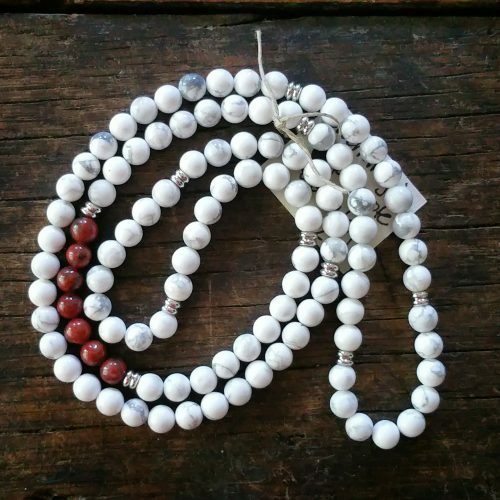 This is our line of necklaces and bracelets for prayer, meditation and yoga practice. These StellaMalas are of natural stone and fabricated by hand. You will find Lava stone in some pieces to be used with your favorite essential oil. 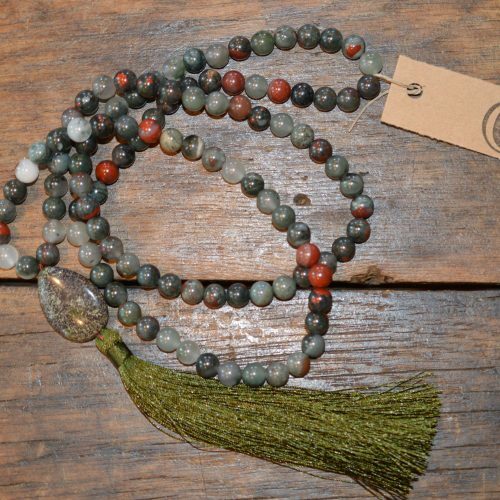 On a traditional Buddhist mala, the three beads above the guru bead represent the Three Refuges: Homage to the Buddha, Homage to the Dharma and Homage to the Sangha. 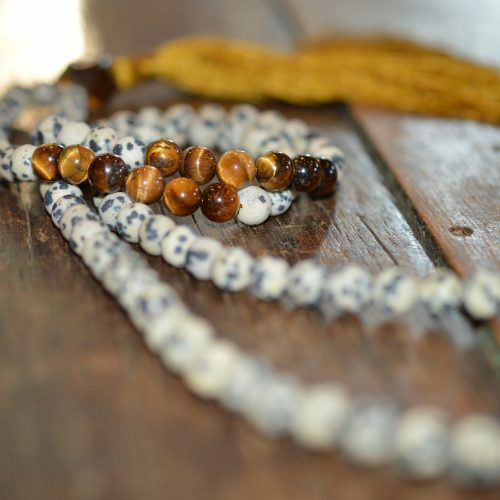 Traditional 108-bead malas are divided into six groups of 18 beads, with a divider between each bead, while 54-bead malas have six groups of nine beads. 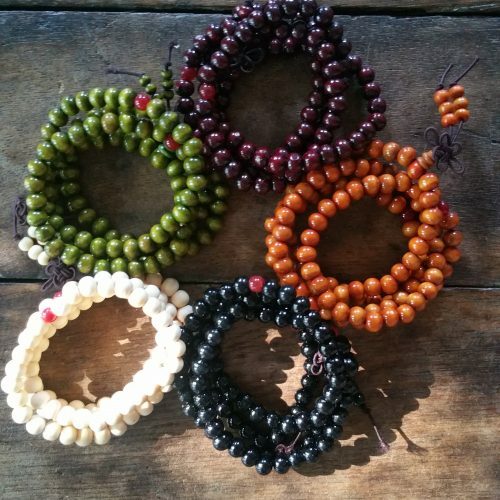 Each dividing bead represents a point of pause for silent meditation.